Hey, Floridians (or those willing to travel)! 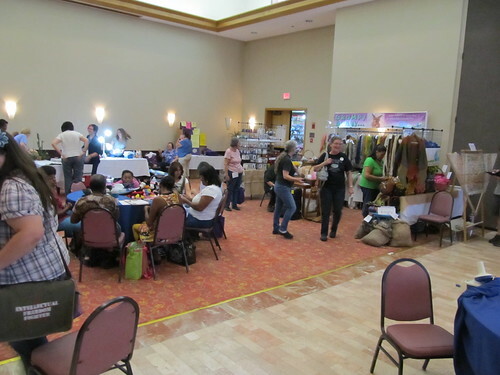 Put this in your calenders -- The 11th Annual Florida Fiber-In (Guess who'll have a booth again this year?) 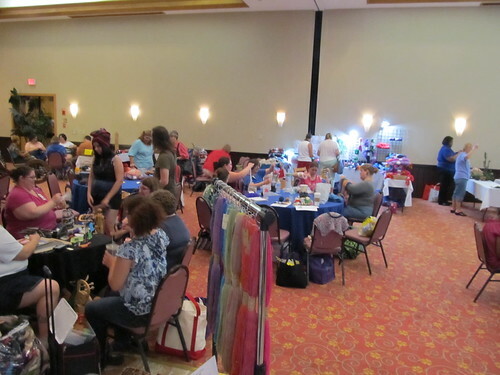 September 19-21, 2014 Allure Resort International Drive (same place as last year; hotel name change) 8444 International Drive, Orlando FL 32819, Reservations: (407) 345-0505 Regina Morgan: (407) 581-2070 Ravelry group; website; Facebook page; Yahoo group (the way it started and still the most active way to contact other members) In ceramics, I'll be bringing yarn bowls, yarn cups in new colors, and of course items from both the Marie and Grace collections. I'm also in the process of making some special mugs (that I'll also have online, after I make more) and I'll have a photo of those within a week or so. In soap, I'll have everything I currently have in the Yarn and Knitting Needle design, including some new fragrances, Champagne Sugar, Hinoki Wood, and Osmanthus. 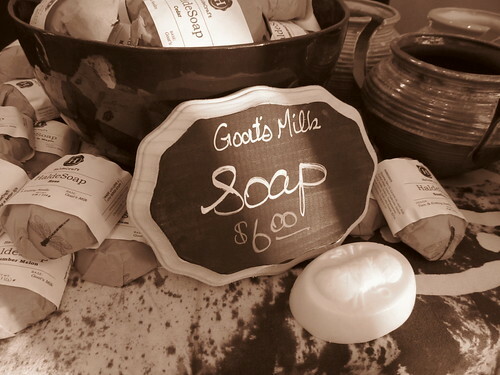 I'll also have a great selection of lip balms, and hand lotions -- including hand lotion in two of my newer soap fragrances, Midnight Garden and In the Wild. These are in-person/event-only, I don't carry these online any more! 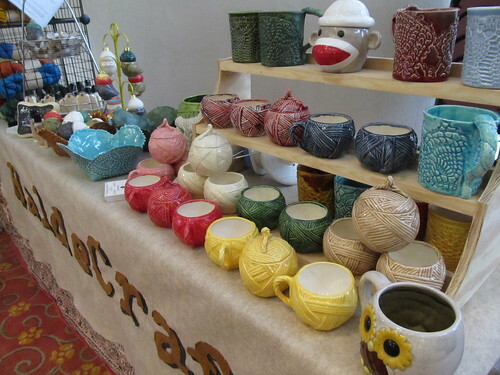 And of course yarn! I almost don't know how to narrow down the yarn. I will probably bring all of my handspun (including a lot I've just never had time to list online), most everything in Andre, Delany, Marion, and Tepper; possibly Lynn, and also two brand new yarn bases I'm trying out this fall; a DK weight Superwash Blue-Faced Leicester, and a sport weight Superwash Wool (similar to Lynn but a little bit thinner). 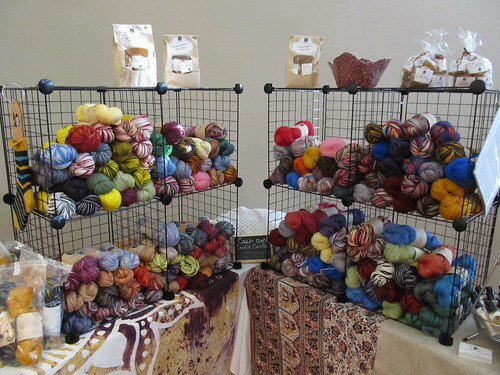 I'll also be bringing fiber, which is why I'm bringing a little less yarn than I brought last year. You're familiar with Athena, the pencil roving I brought in earlier this year... 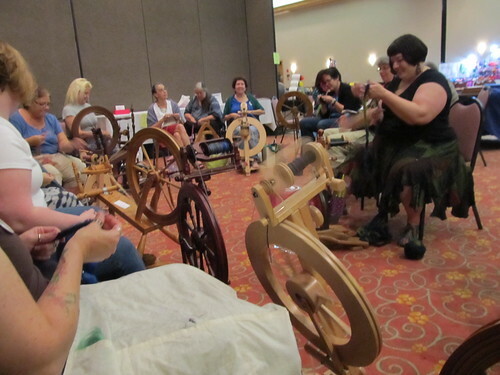 I'll be bringing in a 50/50 wool/silk pencil roving, and also a 50/50 wool/tencel roving. Did I mention buttons and stitch markers? I will have as many of those as I can make over the next few weeks! 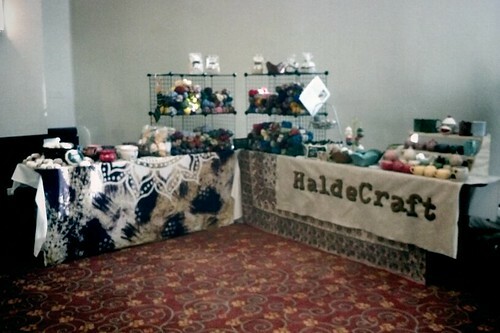 If you came last year, you know my friend Sharon helped me out at my booth. She can't make it this year (something about travelling to Europe? Pff!) and my friend Rhea of Tuesday Tutus & Totes will be stepping in to help out! Will we see you there...? Yay! I’m really looking forward to it (in case you couldn’t tell, heh). It’s more like a vacation and I am looking forward to sitting back and getting some great social time with like-minded fiber lovers!